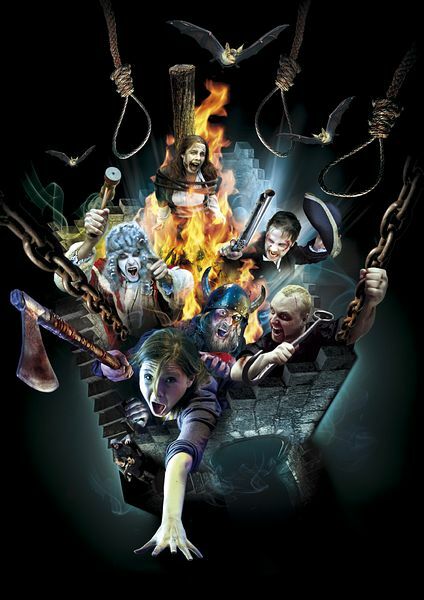 The York Dungeon invites you to delve into the city's most horrible history. Come face to face with live actors, experience interactive shows and special effects as you're transported back to those black, bleak times…are you brave enough to face 60 minutes of York's dark past? Cower in a world of dust and blood as you are hurled into the human horror circus of the Gladiator arena. Now you must decide, fight to your glorious death or perish in pathetic defeat in the jaws of the beast or at the end of your combatant's blade. Will you survive . . .? Large groups and School parties welcome, please call 0871 663 1671 for further details or to make a booking. Not recommended for those of a nervous disposition or young children. children under 15 must be accomapanied by an adult. 10 minutes walk from York Station. 5 minutes walk from bus station in Rougier Street. Car parking St George's Field and Castle Car park. Coach parking Union Terrace & St Georges Fiels.